Eggwich - Egg, Ham, Cheese on a bagel! Growing up, my sister and I used to regularly go to a local bagel shop that made the best breakfast sandwiches. Walking in the door brought on the most amazing smells of freshly baking bagels mixed with hints of ham, bacon, and cheeses. 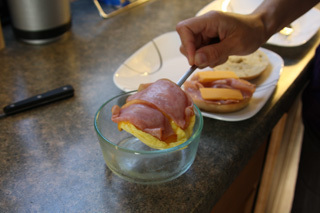 Our favorite meal to order was the Ham and Cheese Eggwich. 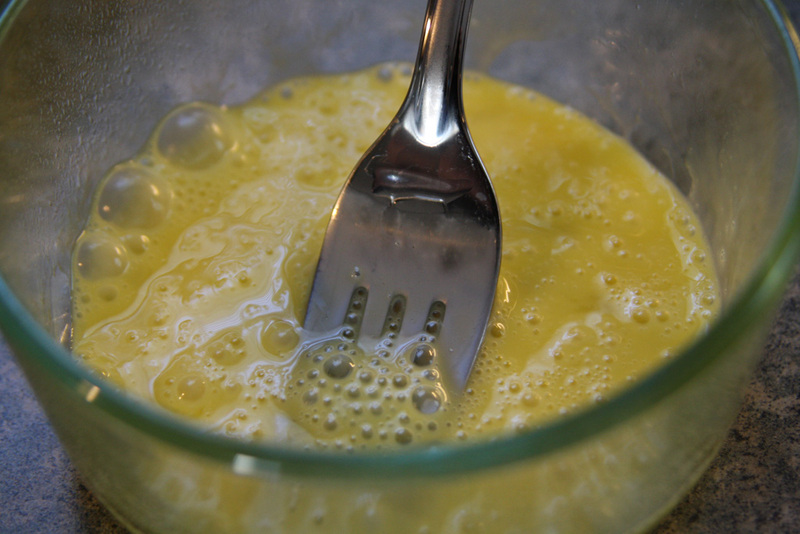 It was magical the way the egg would get fluffly and the cheese would melt. I didn't understand back then how they were able to form this favorite breakfast delight. After some experimenting, it turned out that it was that difficult to recreate! And now I will share those steps with you. 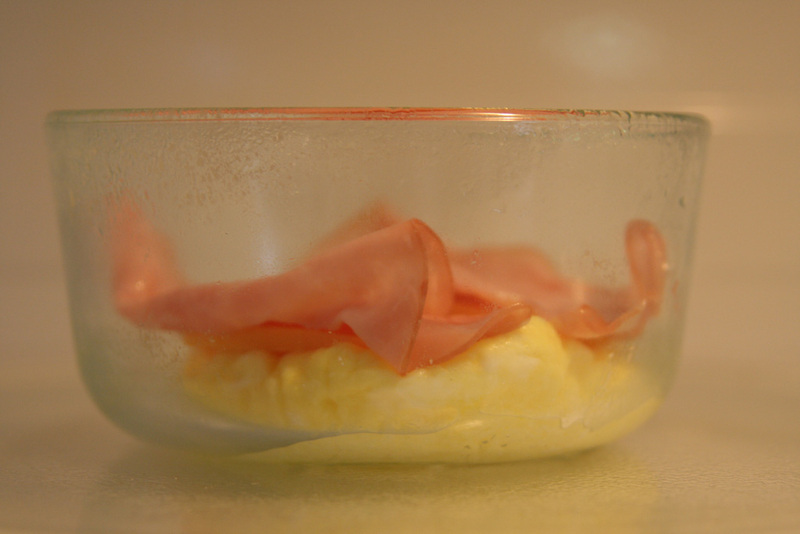 Start with a Pyrex 2-cup round container (or similar size microwave-safe container). Spray with cooking spray to lightly coat the bottom and sides. Scramble 1 egg in the container and microwave for 45 seconds on high. Meanwhile, put the bagel in the toaster and lightly toast. After 45 seconds, add 2 slices of cheese and 2 slices of ham on top of the egg. Microwave for an additional 30 seconds on high. When the bagel finishes toasting, place on a plate. 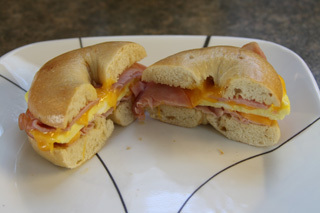 Add the remaining slice of ham on the bagel and the 2 slices of cheese on top of that. Then carefully use a fork to put the egg on top and place the bagel on top. Cut in half and serve with fruit! This breakfast delight is filling and delicious, so enjoy!